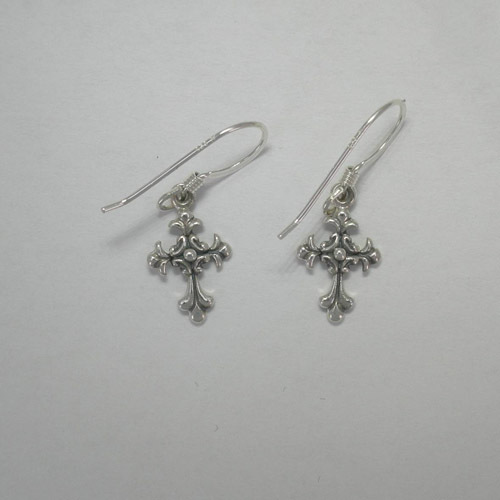 Desc: Sterling Silver small ornate cross dangle earrings. Each cross has fleur de lis ends and has circular designs in the center. The earrings have bright polish finishes.